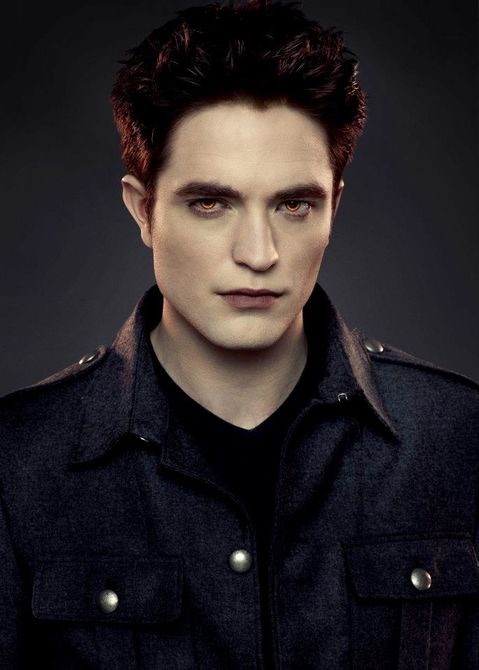 Edward Cullen, born as Edward Anthony Masen, Jr. is a founding member of the Olympic coven and the husband of Bella Swan. Edward was born on June 20,1901, in Chicago, Illinois an was turned into a vampire at age 17, in September 1918, just before he was about to die of Spanish Influenza. But Carlisle Cullen had changed just after Edward's mother, Elizabeth Masen, who somehow knew that Carlisle was a vampire, had asked him to chane Edward into a vampire, and so he did. Nearly 90 years later he met his future wife, Bella Swan. They soon fell in love and had gotten married. But after making love to his new wife a couple of times, she got pregnant and they raced back home to Forks. But while he wanted to have the baby aborted, Bella didn't. But later on, Edward could read the child's thoughts and knew that it loved the both of them and didn't want to hurt Bella, so he loved the child now just like Bella, except later. After Bella had had a painful birth, he had turned her into a vampire. But it wasn't soon until they had company. Irina had come along and saw Bella, Renesmee Cullen, and Jacob Black, she thought that Renesmee was an immortal child and made a run for it to Volterra, Italy, to the Volturi. So Edward and the others started gathering coven by coven as witnesses and while they did Jacob ended up making a list of all the covens and their members, literally. The list was titled, well the Vampire Index. But the Cullens ended up not needing to fight the Volturi, for Aro had seen that Renesmee wasn't an immortal child and they left. The same night, after putting Renesmee to bed, Edward and Bella went to bed. While they were in bed Bella showedand told him about how Zafrina had taught how to let Edward read her mind, and this brought them closer than ever before.